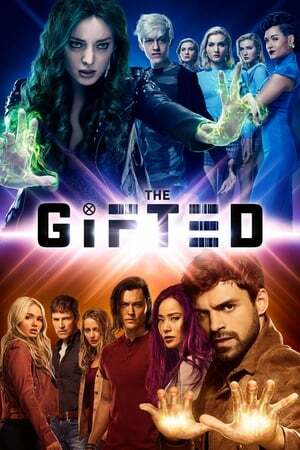 Hands down the best Marvel based series on TV (tied with Daredevil) as it chronicles a world where the X-Men disappears and the fate of mutant-kind rest in the leadership of Polaris, Thunderbird and Eclipse as they battle the US government and their multitude of sub agencies dedicated in extracting and the elimination of the mutant population. Central in the story is the Strucker family whose two teenage kids’ mutant powers start to manifest and are forced to flee from their perfect suburban life and team up with the mutant underground. For all X-men fanatics ,without revealing the plot, you are all treated to appearances by Blink, Fenris, Sage, The Hellfire Club, the Sentinels, The Purifiers and the Cuckoos all portrayed convincingly and effectively in the storyline as each episode is action packed and written with the comic book fans in mind meaning it is done properly. The writing is tight and the characters are true to the essence of their comic book counterpart. What more could true comic book fans want?